This entry was posted on December 7, 2011 at 10:30 am and is filed under Blog, History & Lore. You can subscribe via RSS 2.0 feed to this post's comments. I was surprised as a teenager to hear that my grandpa had used a “water witch” to figure out where to dig a well on a new piece of property he had bought up north. He was always such a science-ish sort of guy and grandma was such a mainstream (read: somewhat boring) protestant Christian. I asked him if it was done with a stick and he said yes, and that it worked great; they found a place for the well. loving the history. I remember dowsing as a kid, or rather, tying a brass pen around a string and using it to tell me where lost objects were…i think those objects are still lost, so im not much of a water witch or a lost-object-finderer-wich, but dowsing was a great way to start an expedition in the backyard. Oooh, very neat tidbit about the brass pin! I wonder where that comes from? Very interesting! I know dowsing was used in rural Texas at least up until the 1940s. My great-grandmother used to tell us kids stories about the “water witcher” (which is what they called the man, and it was always a man) coming out to the farms to help them locate the ideal spot to dig for a well. This would have been around 1920 or so, but I’ve heard later tales as well. In this part of Texas, everybody (including my great-grandmother) was a very conservative Baptist or else Church of Christ, so whatever they considered to be the source of the dowser’s skill, it wasn’t witchcraft, as they would never have had anything to do with something viewed as non-Christian. After she told us the story, us children (myself, my sister, and my cousins) went out into her yard and found a forked stick so we could try “water witching” for ourselves. Even as a very young child I was fascinated with magic, divination, and Witches, and her tales were one of the first times I heard of real-life, adult people doing something obviously supernatural, and I can recall thinking “I knew it was real!” Before that, I’d always been told such things only happened in story books. When a person puts personal sweat and livelihood on the line I really sit up and take notice. 5 years ago plumbers had to locate the waste pipe that led from my parent’s house to the street. They dowsed for it and found it. Imagine my delight! That’s what fascinates me about dowsing…digging a well, locating a pipe, etc. is hard work. Trusting your dowsing skills to that degree is true Art. Agreed! 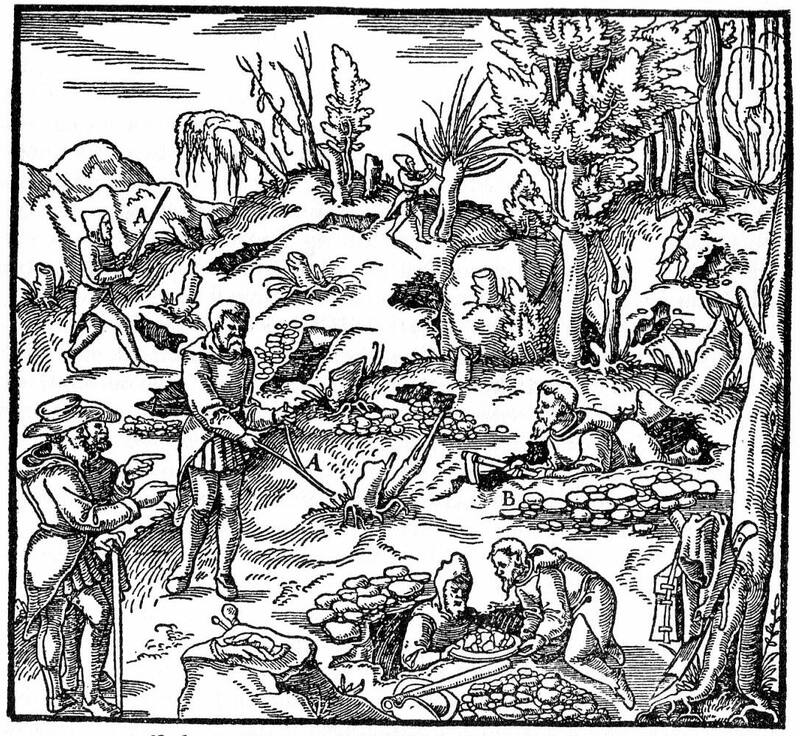 Thanks for a great illustration of dowsing in the modern world, Modred! People still dowse for water here in Jackson county, TN. It is as common place and planting by the Moon signs. I have used straightened metal coat hangers with a bent 90 degree angle on the end for handles to dowse. I have dowsed for lost objects such as a pair of glasses dropped in the leaves and found them in a few minutes. Anyone can do it, just have to clear your mind.